Egypt unveils tomb of Fifth Dynasty official - SABC News - Breaking news, special reports, world, business, sport coverage of all South African current events. Africa's news leader. Flanked by dozens of ambassadors, Antiquities Minister Khaled al-Enani said the tomb was discovered last month. It is mostly made of white limestone bricks. The tomb’s north wall indicates that its design was inspired by the architectural blueprint of the dynasty’s royal pyramids, the statement added. 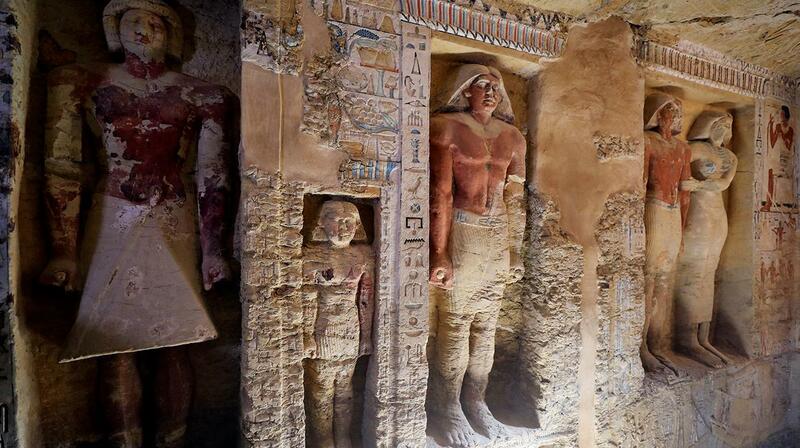 The excavation team has unearthed several tombs related to the Fifth Dynasty. This entry was posted on 13 Apr 2019,07:41PM at 7:41 PM and is filed under Sci-tech, Homepage Latest Stories Slider. You can follow any responses to this entry through the RSS 2.0 feed. Both comments and pings are currently closed.